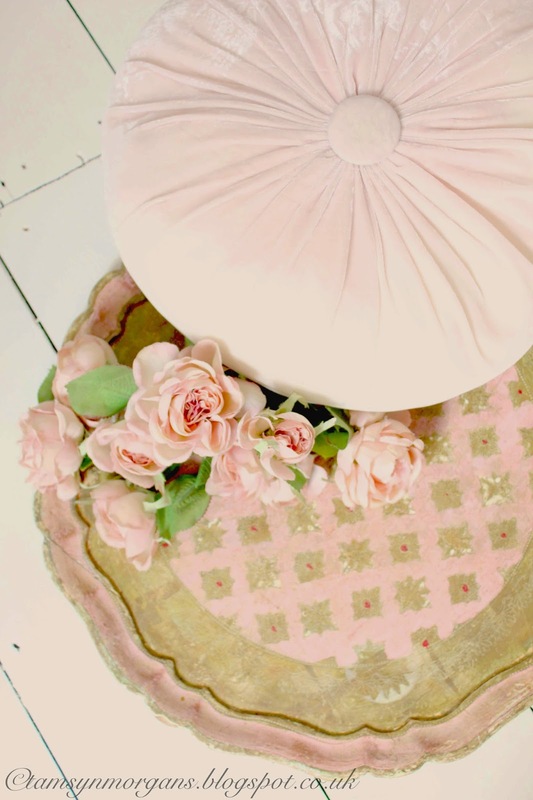 1) Florentine tray, velvet cushion and shabby fabric roses. So much pretty! 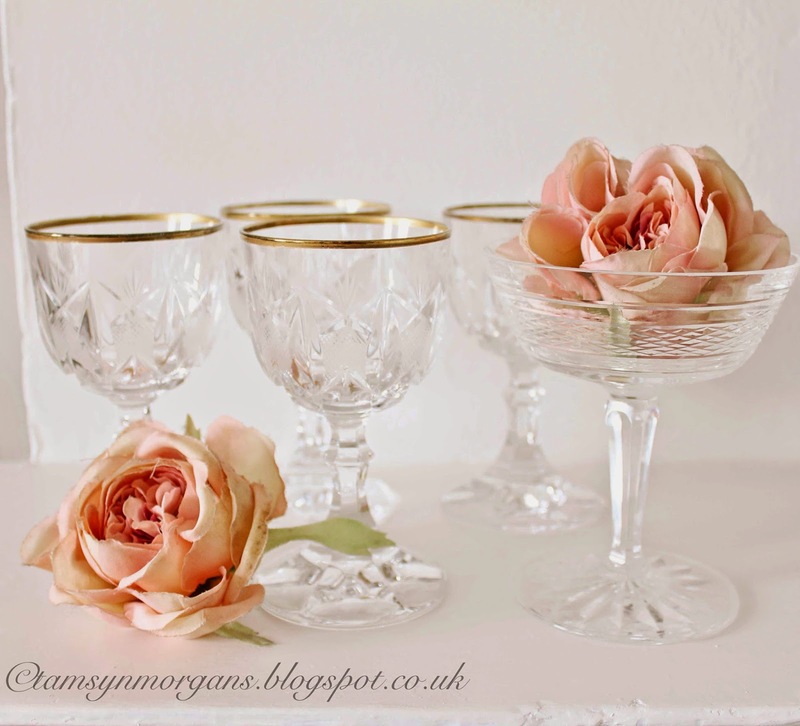 2) Set of four cut glass goblets and a champagne coupe. I’m already getting excited about the festive season in this house (I know, I know, I’m sorry! ), and I see these goblets filled with red wine and surrounded by glistening tea lights and pine sprigs. The coupe has a couple of small chips, but at 30 pence I had to have it to add to my collection of mismatched vintage champagne coupes. 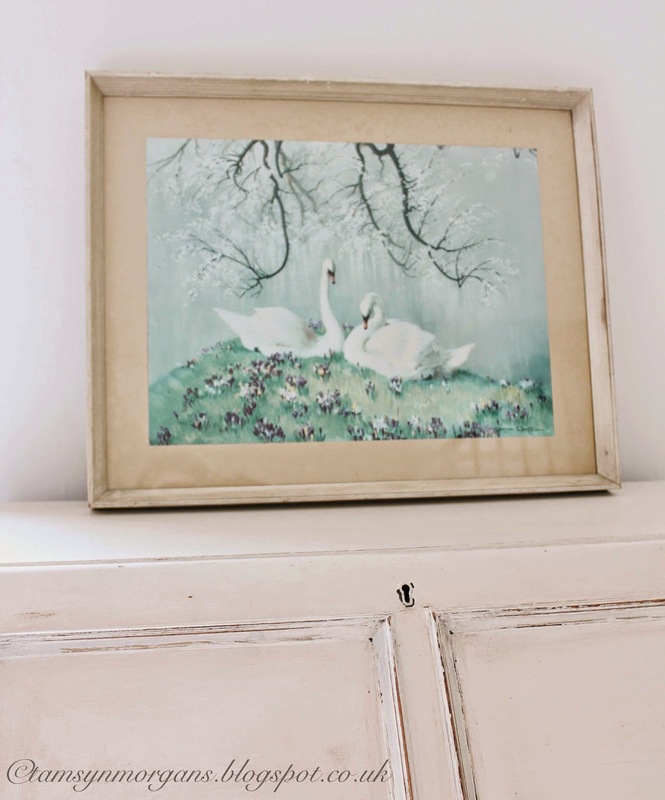 3) Framed swan print. I think I managed to avoid squeaking like a two year old and shouting ‘mine, mine! !” when I saw this. 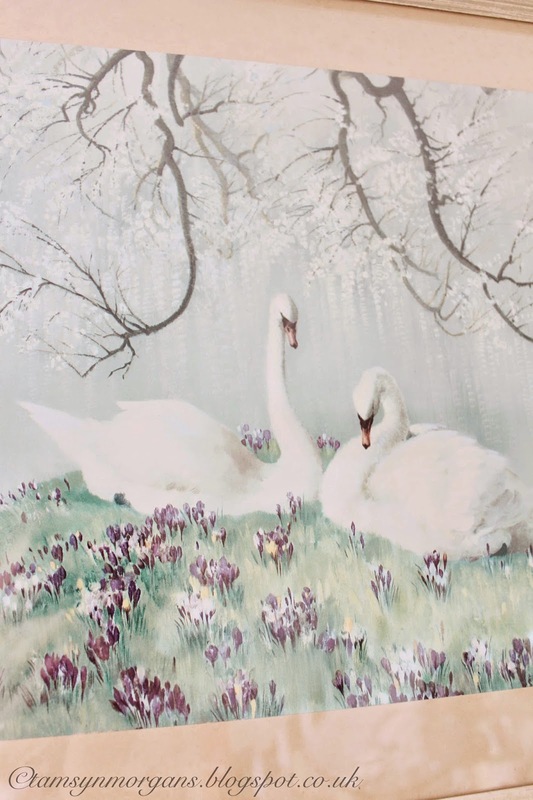 There is something so romantic about swans and this picture has it all – blossom, crocuses, and beautiful swans. I absolutely love it. 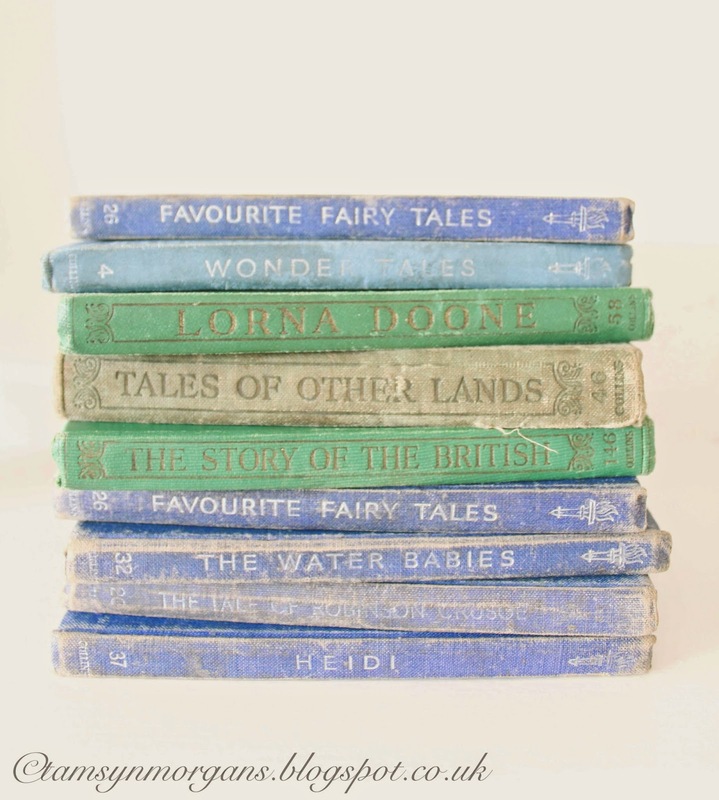 4) I adore old books, and I love the jewel colours and titles of these mini books. In my dining room (still unfinished so I’m yet to share any pictures with you!) the original huge cast iron cooking range still remains in the big fireplace. I imagine the task of renovating it will be costly and expensive, so in the meantime, I store all my beautiful old books on it, and these will join the others there. I still have the last corner of my bedroom to share with you which I will post this week. 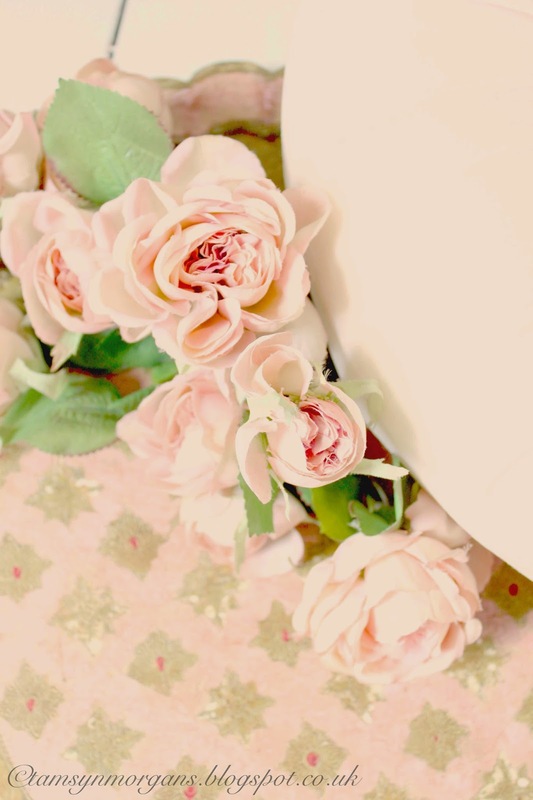 Have a wonderful Sunday!